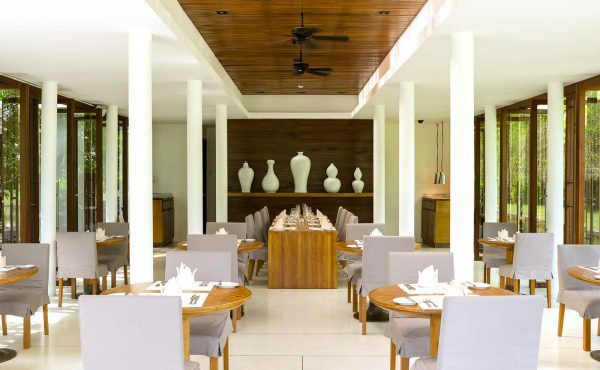 At The Sarojin, we offer a diverse range of dining locations, the question the staff enjoy asking is, “where would you like your table set today?”. 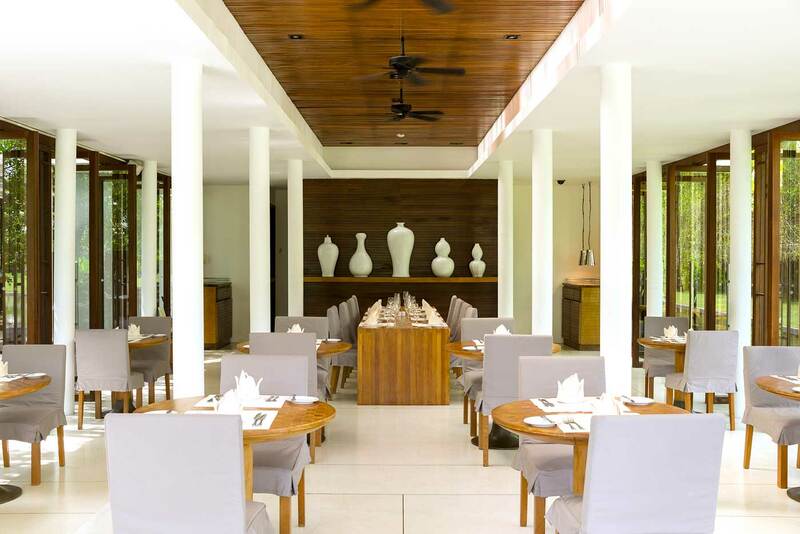 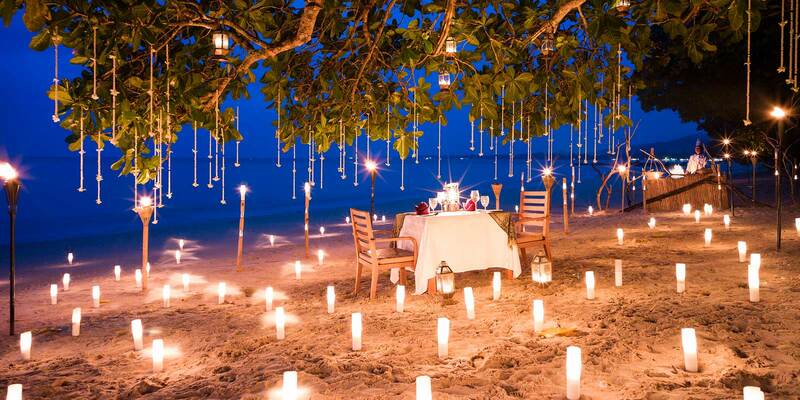 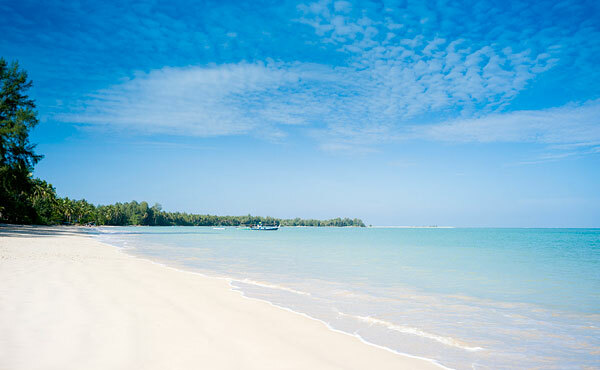 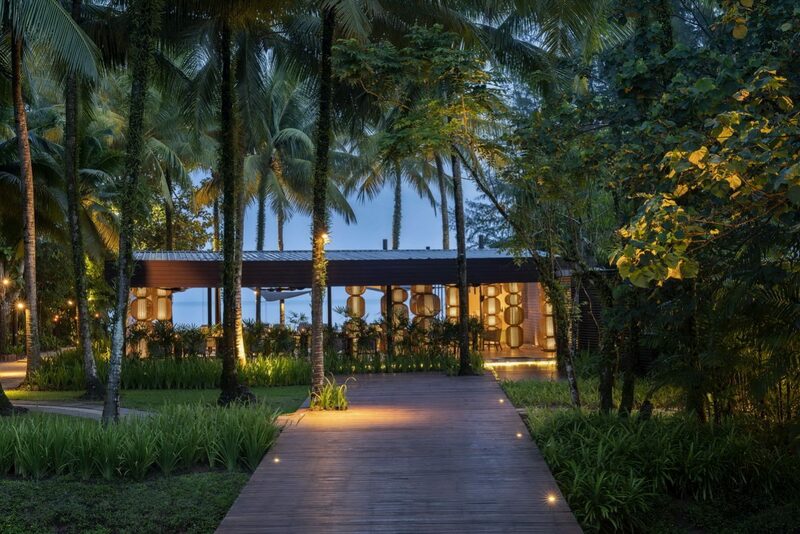 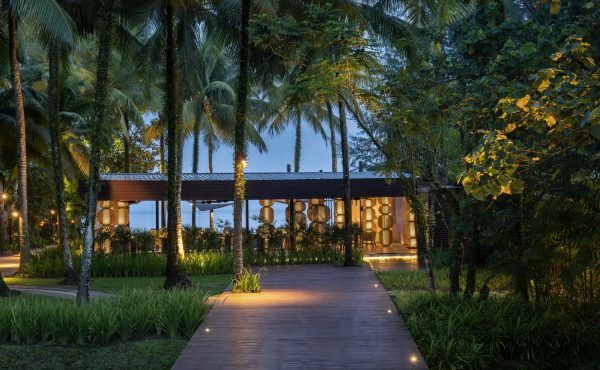 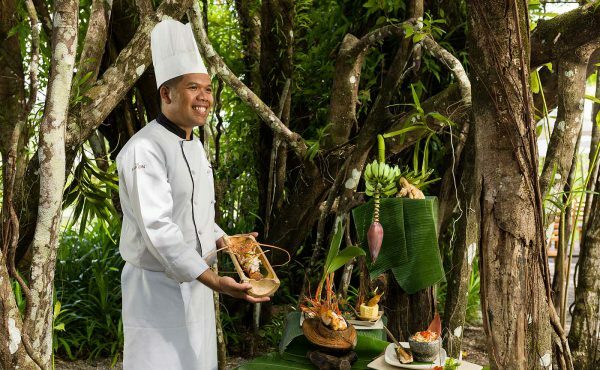 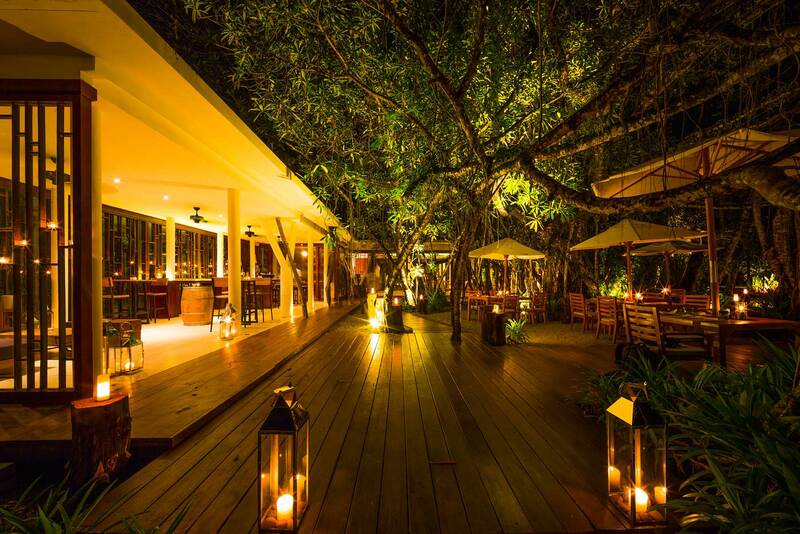 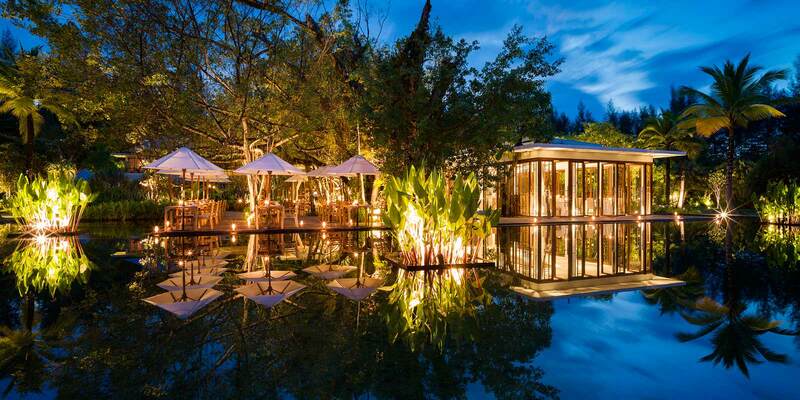 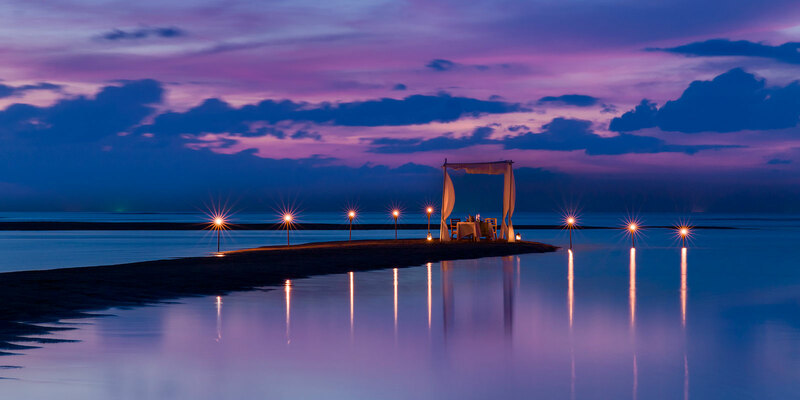 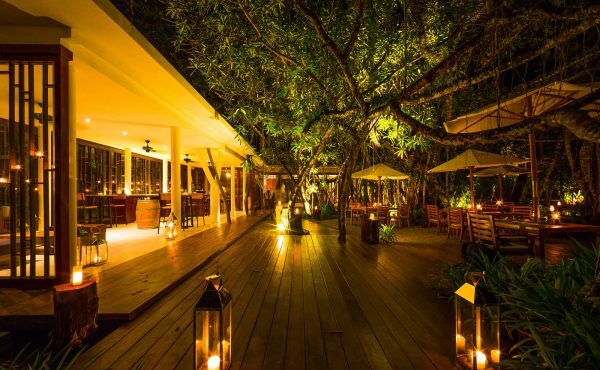 For the gastronomes and oenophiles, The Sarojin’s dining options are splendid. 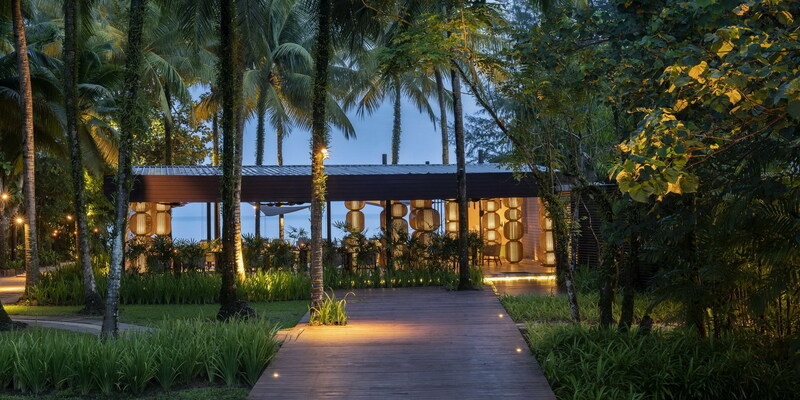 Our Edge and Ficus restaurants serve up some of the best Thai and contemporary Mediterranean cuisine in Thailand, our wine bar and multi-award winning wine cellar are well stocked with a range of the finest imported beverages and wines, the beach bar offers spectacular views over white sands and ocean – the perfect spot to sip on a cocktail or two, and for the ultimate dining experience, we offer “just for 2” romantic private dining in the setting of your choice, be it in your own private sala, the secluded white sands of our beach or by a candlelit jungle waterfall. 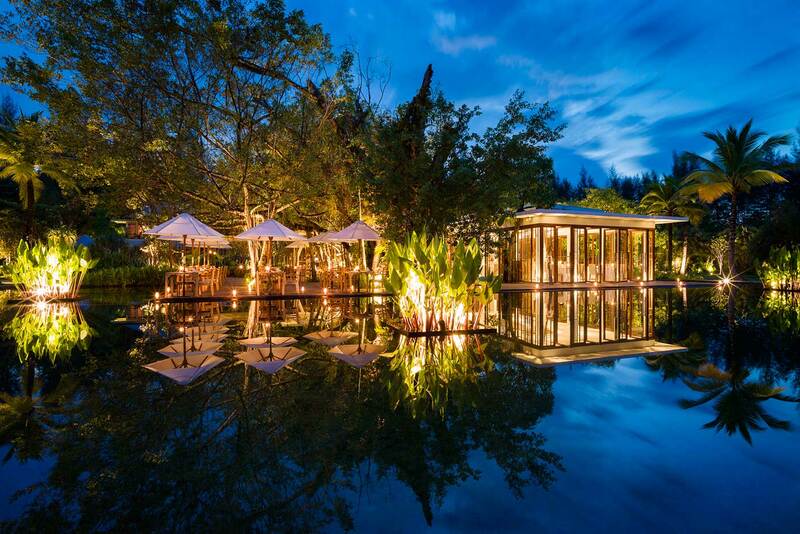 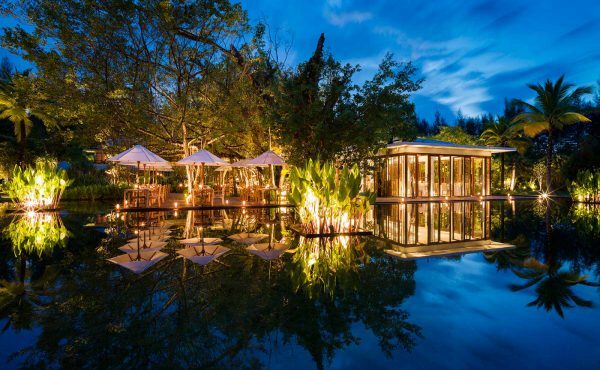 Contemporary and chic, stylishly integrated and tucked away under the ancient ficus tree. 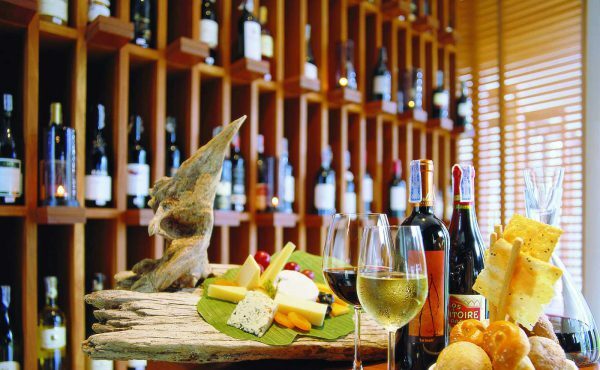 The award winning wine cellar stocks 200 wines from around the world and 20 wines and champagnes are served by the glass. 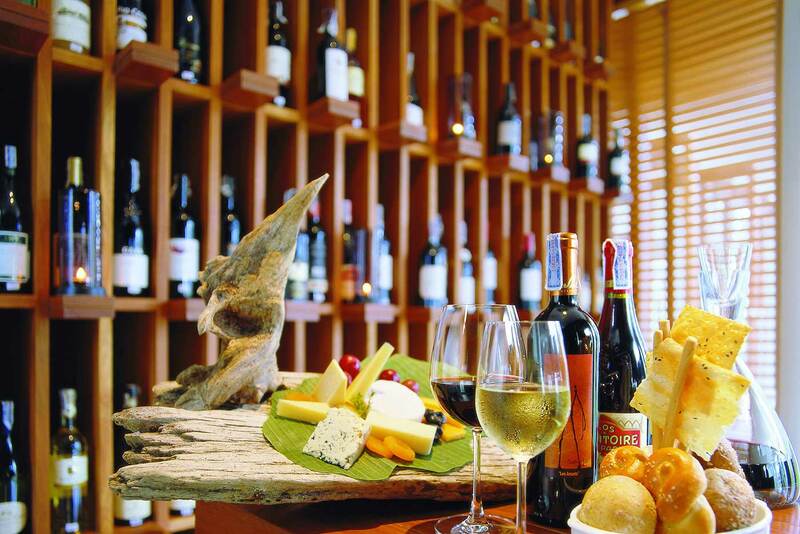 Enjoy a range of light bites and tapas to pair with your wine. 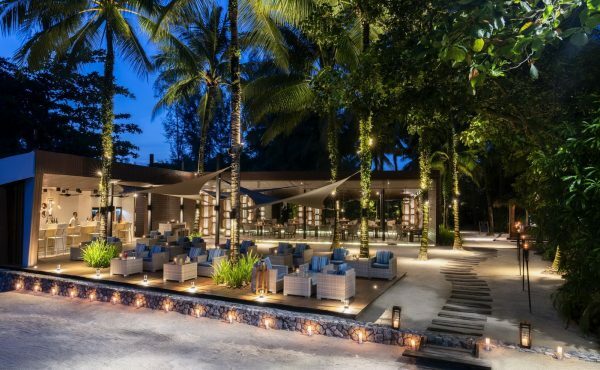 Breezy, chic and stylish, the newly-developed beach bar offers spectacular views across the idyllic white sands and Andaman Sea. 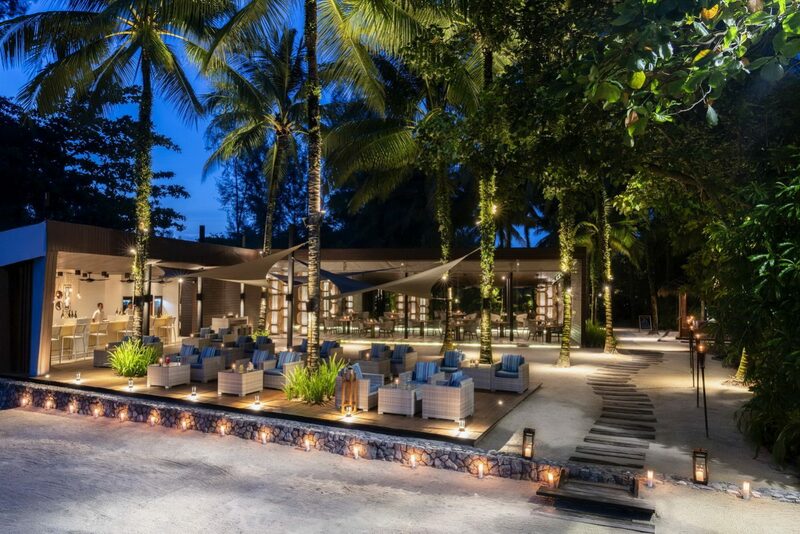 Tropical-inspired loungers, comfy sofas, sumptuous beanbags, chilled out music – the perfect spot for sipping on a chilled cocktail or relaxing at lunch or dinner. 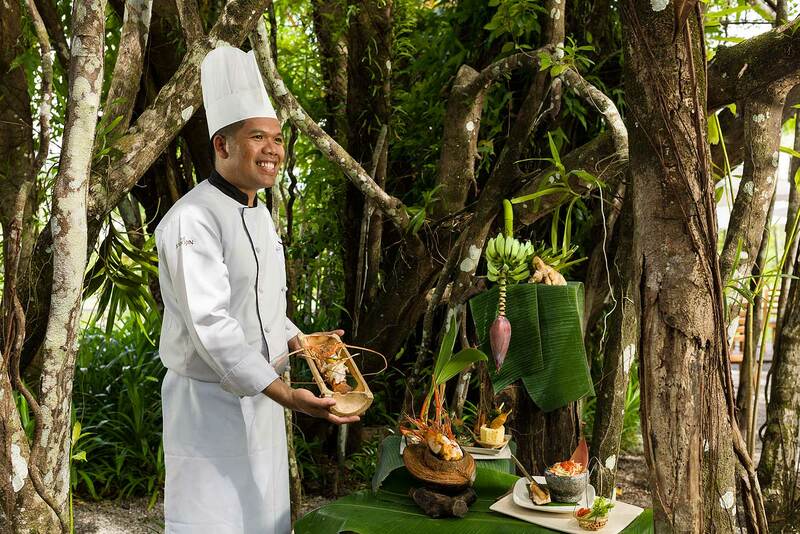 Tempting offerings include seafood baskets to share, local tapas, Thai delicacies.